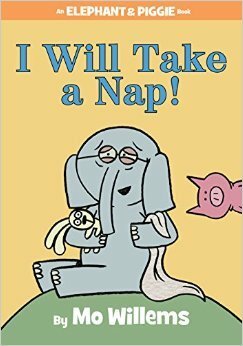 Title: I Will Take a Nap! Summary: Gerald is tired and cranky so he decides to take a nap. But when Piggy interrupts his nap, Gerald shouts and makes Piggy cranky too. So Piggy decides to join Gerald in taking a nap. However, Piggy snores and Gerald can’t get any sleep. Just when Gerald complains, Piggy starts to float in the air and grow a turnip on his head. Gerald realizes that this is just a dream so he continues to nap. When he wakes up (for real) Piggy asks him how his nap was. Gerald says it was fine, and calls him Turnip Head! Literary Merit: Humor. Simple sentences. Illustrations match the text. Characters stay true to the series. Kid Appeal: Kids love Piggy and Gerald! The plot twist of the dream sequence is funny. Readers are lead to believe the dream is real, and when they are let in on the joke, they can appreciate the humor even more. 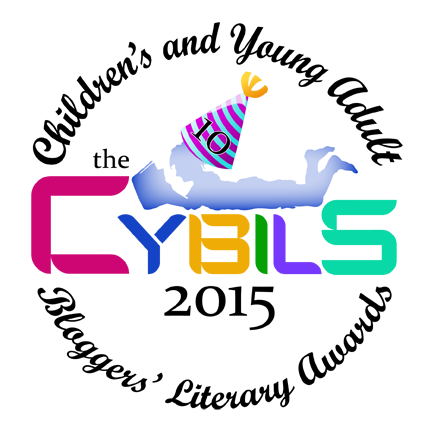 Disclaimer: This book was nominated for the 2015 CYBILS Award in the Easy Reader category. This review is shared as part of the Round One Judging. It is solely my own opinion and not influenced by any other parties.